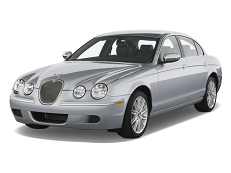 Correct Wheel Sizes, PCD, Offset, Rims and Tire specs for Jaguar S-Type series. im running 245 40 19,8.5 ,49 offset and have not had any probs,and they don t alter the ride much. I understand that Jaguar Type S wheels will fit my 2003 Thunderbird. Is that correct? If yes, what selections do I have? I am interested to purchase 4 17" Jaguar S Type wheels for my 2003 Thunderbird. I like the Juno and Sport designs. Can you get these for me? If you can, would they be new or re-chromed? Can you give the price for the wheels, chrome lug nuts, chrome valve stems, and delivery to me? My zip code is:14513.
what other auto's could I use my factory (10) spoke wheels? Hi,Jake Wilson,What size of that low profile tires? I really don't know lol. I'm just looking for ideas.. Do you have any suggestions? I've got an s-type running 8x18s et60, would I get away with running a 40 offset. Would this mean it sticks out 20mm more than my standard wheels? Hi,Kev,Yes,offset 40 is ok.It does not means wheels will sticks out 20mm,On the contrary,It will retract 20mm. I have a set of rims that are 18 by it's made from Coventry brand-new tires with Lestin 200 miles black and chrome. If your instant please feel free to email me . This info is totally wrong. The stock size for a 2001 4L is 215/60R16. I know some of the cars also came with R17 wheels. Hi, jason w,yes,For 2001 4L,the stock tire size is 17''.So the wheel size is also 17''. soon I will lose the deal. Hi,By David green,what the current tire size of your car?